The Pro-X Screen boasts a larger and taller design, thicker steel tubing, bigger wheels, and full padding. 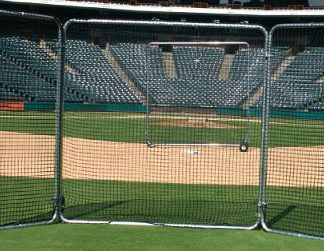 This 6′ W x 8′ H screen features a 1-3/4″ galvanized steel frame and a #60 nylon pillowcase net. Includes welded axles with 10″ never flat rubber tires and 1/2″ thick Safe Foam padding. 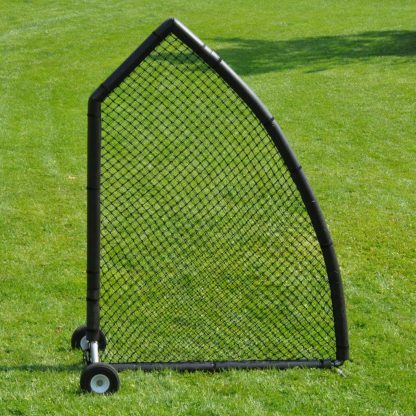 The A-Screen Pro Pitching Screens offer an improved design on the traditional pitching screen. Choose from padded and unpadded models. 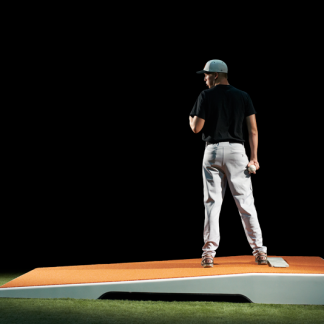 Professional Tri Fold Screen Pitch Pro 516 Training/Bullpen Mound - 10"